We are a leading Manufacturer of three phase pdu with circuit breaker,iec inlet and ammeter and three phase pdu with circuit breaker, iec inlet & ammeter from Mumbai, India. 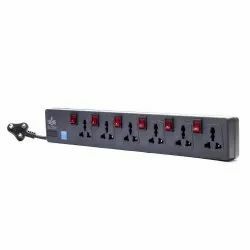 We are involved in offering Three Phase PDU with Circuit Breaker,IEC Inlet and Ammeter that are sourced from the reputed manufacturer. We are one of the leading manufacturer and supplier of Three Phase PDU With Circuit Breaker,IEC Inlet & Ammeter. We obligated to meet the quality standards as per the customer demand.